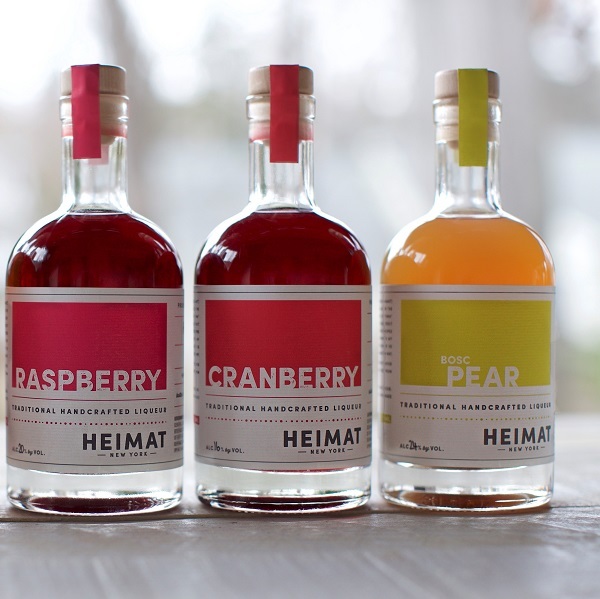 Heimat New York, based in Mamaroneck, offers traditional fruit liqueurs, handcrafted using local New York fruit and bottled only in season. The story of Heimat New York (pronounced HI maht) began nearly 100 hundred years ago in the northwestern part of Germany where the founder, Ute Londrigan, grew up. Her Oma originally created liqueurs from fruit gathered in her backyard. The recipes were later passed down to her mother then to her, with each of them adding their own twists along the way. Fruit liqueurs are commonly found in most houses across Germany. They are used as an aperitif on their own, together with a mixed drink or Champagne, or with a wide variety of desserts.